In this post, we examine the different use cases for colocation and infrastructure-as-a-service. What’s the difference between baremetal servers and colocation? Before we go over the benefits, it is essential to understand the difference between the two options. The key difference is that with baremetal servers, Intergrid (or another service provider) provides the hardware and leases it to you on a monthly basis. Colocation, on the other hand, means that you buy and configure all of the equipment, then pay a service provider to place it in their datacentre and network. The cost of leasing a baremetal server is a small fraction of what you would have to pay if you were to go out and buy all the hardware yourself. 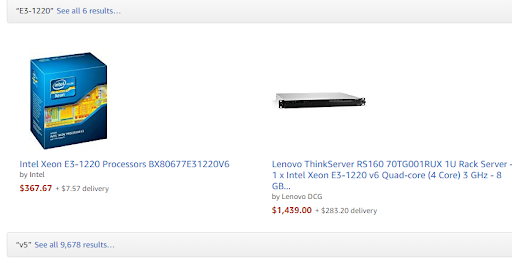 Even an entry level server (with an E3-1220 v5 CPU, 8GB RAM, etc) can easily exceed $1400 AUD. In comparison, you can lease a similar server from us for just $99 per month. Hosting providers operate with economies of scale and make money over the long term – meaning that the monthly fees paid for hardware are typically a fraction of what you would pay to purchase hardware outright. This has clear benefits for business cashflow, reducing capital expenditure (CAPEX) by shifting IT budgets into operating expenditure (OPEX). Another advantage of leasing a baremetal server is that the hosting provider is responsible for hardware maintenance and repairs. This is particularly beneficial for smaller businesses which may not have dedicated IT staff, or 24×7 operations for monitoring critical systems. 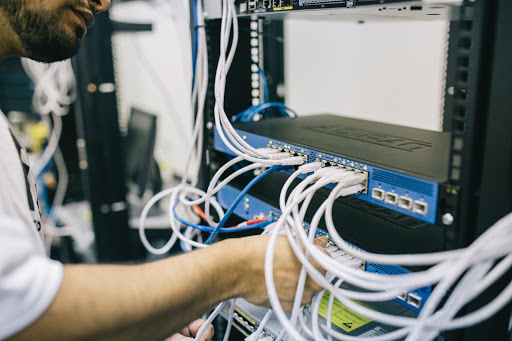 With colocation, your service provider is unlikely to be able to assist if there’s a hardware fault at 3AM – it’s your hardware, which means any repairs or maintenance are your responsibility. Support contracts for hardware with major vendors like HP, Dell and Lenovo can be thousands of dollars each year. With baremetal servers, your hosting provider is responsible for fixing or replacing faulty hardware. Perhaps the key aspect that differentiates leased baremetal servers from colocated ones is the option to subscribe to managed services. This means that the cloud hosting service provider undertakes the task of setting up the hardware and software as well as providing technical support, risk mitigation, server updates and the like. Options for managed services on baremetal servers are typically offered as an add-on package that ranges from essential IT services to pricier and more advanced service packages. In most cases, you have the option to personalise your list of managed services to suit your business needs. Hence you never have to pay extra for services that you don’t use. However, most hosting providers will not offer managed support for colocated hardware that the service provider does not own and manage. Your organisation’s server requirements are bound to change over time. In a year or two, you might need more bandwidth, additional RAM or a faster CPU. Whatever the case, leasing a baremetal server gives you the option to upgrade specs when you need to for just a few more dollars each month, rather than recurring CAPEX just to meet your business’ growth. But when is colocation better? Now it is easy to see why leasing a server is a good choice for small to medium-sized businesses. Of course, leasing is not always the answer, and some circumstances make colocation a better option. Buying all the hardware yourself means that you have complete control of the parts that go into the server. This is ideal if your organisation has a preference for a specific device, or a unique system that an infrastructure-as-a-service provider may not stock. Another situation where colocation makes sense is when you already own all of the hardware. Maybe you are looking to move your on-site datacentre to the cloud, or have already invested heavily in hardware for a cloud project. Owning your hardware means that you will only have to pay for power and bandwidth. Indeed most businesses are better off leasing baremetal servers instead of colocation. However, if managing your servers yourself is no trouble for you, then colocation is a good option.